After receiving information that the Federals were changing the location of their base, General Lee decided to move his troops accordingly. He ordered Lt. General Richard Ewell to march east towards Telegraph Road and turn south onto it (Matter 339). 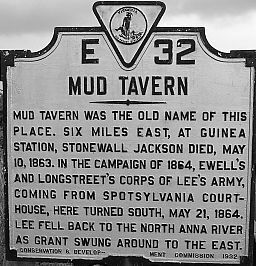 The turning point for Ewell’s troops was located at Mud Tavern (modern day Thornsburg). Mud Tavern is located a mile south of Stanard’s Mill. At the same time Federal forces were moving, and originally General Warner’s division was set to head south down Telegraph and to turn at Stanard’s Mill towards Guinea Station. Warren was ordered to change his route much sooner and the lead troops changed route and went east much sooner. Had General Warren’s route had not been changed, surely the Confederate and Federal forces would have seen each other from such a short distance away. This could have led to a much earlier collision of the two forces and could have affected the outcome of the battle. 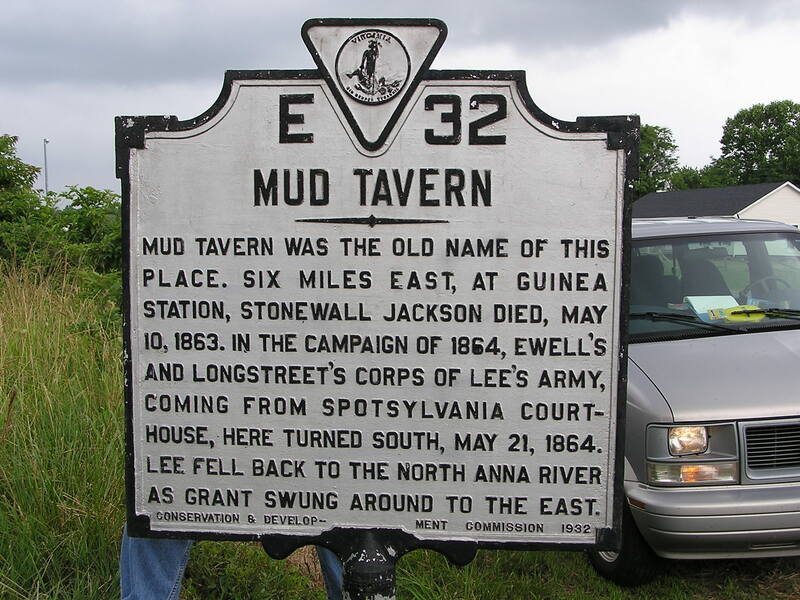 “Mud Tavern Marker,” Virginia Department of Historic Resources, http://www.dhr.virginia.gov (accessed April 17, 2008). Matter, William D. If It Takes All Summer. Chapel Hill: The University of North Carolina Press, 1988.